An image of the phone’s display can be saved for user guides and as-built documentation. Paste into your favourite word or image application. Next to the screenshot per phone, bulk screenshots can be taken from a group of phones. 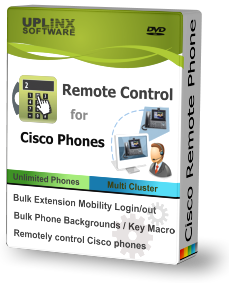 Please see the user guide 'Bulk screenshots of Cisco phones'. Copy a phone's display to a Word application.